One of the most affected people in Fukushima, where extensively contaminated with radiation released by the nuclear accident, was the hardworking organic farmers. 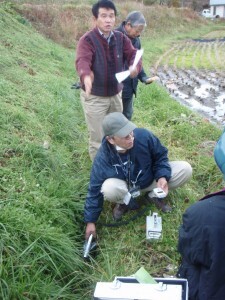 There were many organic farmers who had continued steady efforts for a long time as Fukushima prefecture government had been encouraging organic agriculture. As Fukushima prefecture is close to Kanto area, the large consumption area including Tokyo, organic farmers in Fukushima were able to utilize this advantage and make profit by the labor intensive farming method. 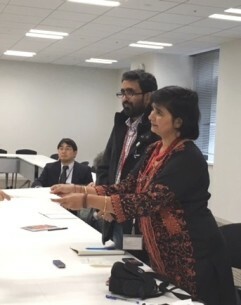 However, when the serious contamination of the farmland in Fukushima became evident, the consumers of organic vegetables, who are very sensitive to health and toxic chemicals and do not mind paying more for the safer food, quickly stopped buying the organic products from Fukushima. Organic farmers, who believed the strong solidarity between producers in rural area and consumers in urban area through organic products, were strongly striken by this fact. Therefore, many organic farmers gave up farming. Emergency Recommendation Regarding the Systematic Inspection against Rumors on Foods and Farming Stemming from the Nuclear Disaster[Summery] (Science Counsil of Japan) New!